Hello there, dreamers — and welcome to December! I’m currently tucked up in bed with a piping hot cup of Peppermint tea beside my Christmas decorations. Oh…and did I mention there’s a new Hallmark film on? Because there most definitely is! All things cozy and festive aside, it dawned on me this morning that we haven’t had a good ole chat about skincare in a while. Oh sure, around these parts we’ve been ooh-ing and ahh-ing over several makeup bits through the year. Skincare, though? I’ve shared next to nothing on the subject. Today we’re going to rectify the situation! 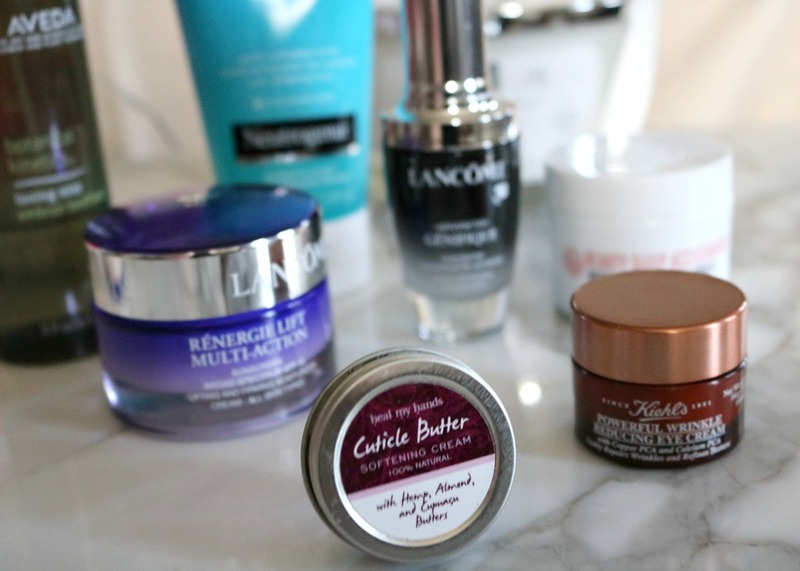 I sat down at my vanity and had a good look around at all the skincare items I’ve been using on the regular. I also had a look at those I skip over altogether. 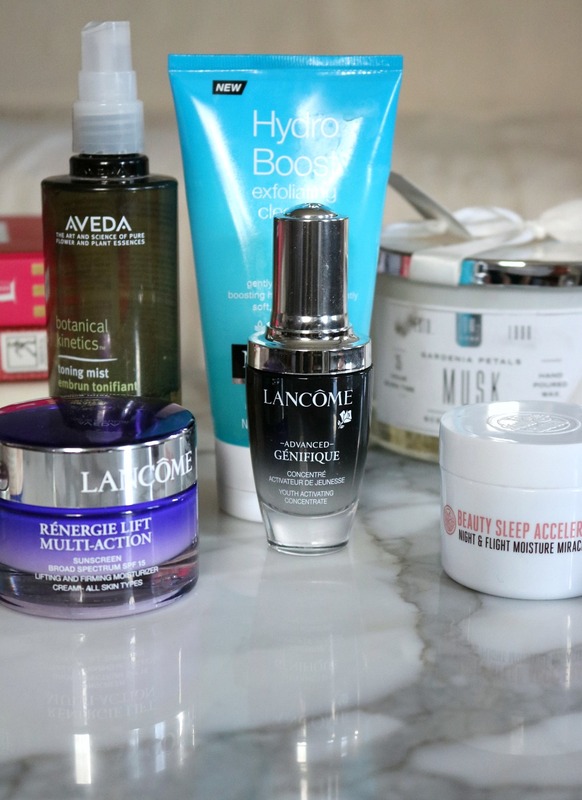 Perhaps down the road we’ll get to the skincare duds, but at this time I want to walk you through the best skincare products I’ve been using in 2018. So as I said, I had a seat at my vanity and started to look through everything. Pulling products one by one, I realized that I’ve accumulated a rather nice skincare routine if I do say so myself. Nailing down skincare is something I’m always a “work in progress” on and I’ll never stop seeking new information. 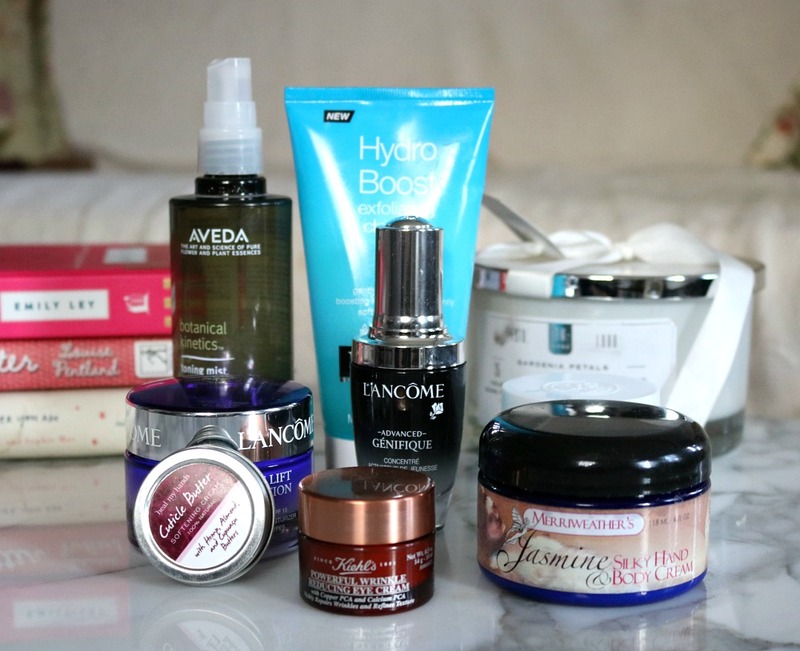 While my fashion magazines admittedly sat across the room collecting dust, I do spend a decent amount of time reading about skincare tips and love perusing the “reviews” section of Nordstrom and Sephora’s website to find products that will work for me. Sometimes I feel like I ought to read a book or two about skincare, but in the meantime…product descriptions and consumer reviews are where I turn. Then, of course, there’s the good ole “Hey, that looks good” moment where I stumble across a product while shopping and buy it on a whim. If you’re like me and not yet ready to read a book on skincare but enjoy hearing other people’s opinions, this post is dedicated to you. 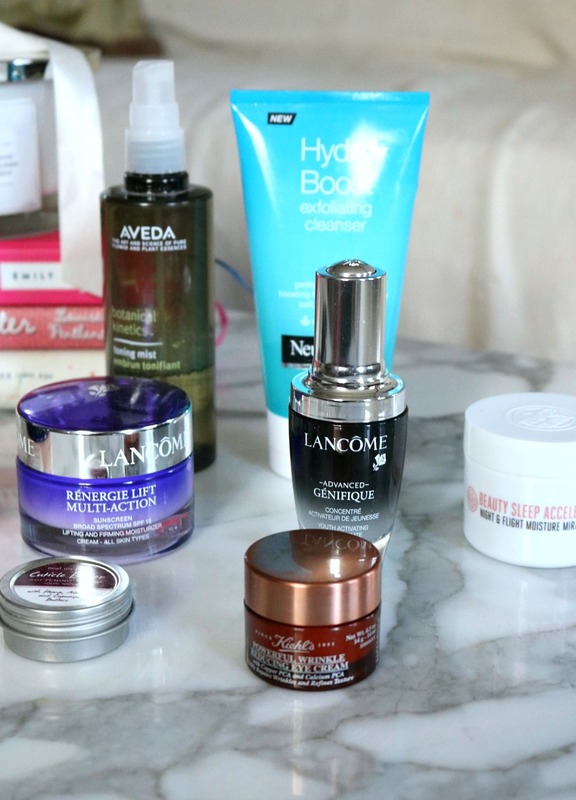 Obviously it goes without saying that my thoughts on the best skincare products out there aren’t necessarily going to match up with your own. Everyone’s skin is different and in need of different things. Personally, I have combination skin that’s fair and freckled. Most of my face runs on the dry side, but my T-zone can get mighty greasy if I don’t powder properly. I’m very lucky not to have any major concerns with acne or blemishes. Other than an odd spot here and there, things are pretty clear. My primary concern when looking for skincare is finding products that will help fight signs of aging. In addition to the fact that we’re all just getting older — I feel like I also tend to carry stress and anxiety in my face. From that, I’m always down to find products that will nicely moisturize my skin as well as maintaining firmness. Oh, I’m also campaigning to not have crow’s feet. 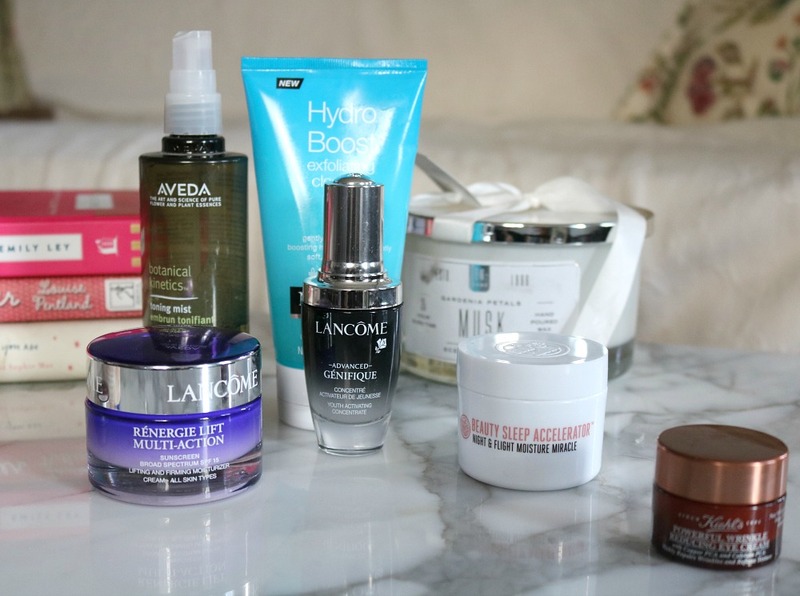 Now that you understand a little bit more about my skin in general and what I’m looking for, let’s *drum roll please* start talking about the best skincare products in my vanity. Talk about an old standby. I’ve tried several other face mists out there and while some are really lovely (i.e. Caudalie’s) I always find myself returning to this bad boy from Aveda again and again. My all time favorite way to use this toning mist is in the morning BEFORE applying makeup. There’s something about the way it peps up my skin for the day and it helps create a refreshed landscape for my makeup. One of the best skincare products I stumbled upon last year is one I continue to use on the regular today. 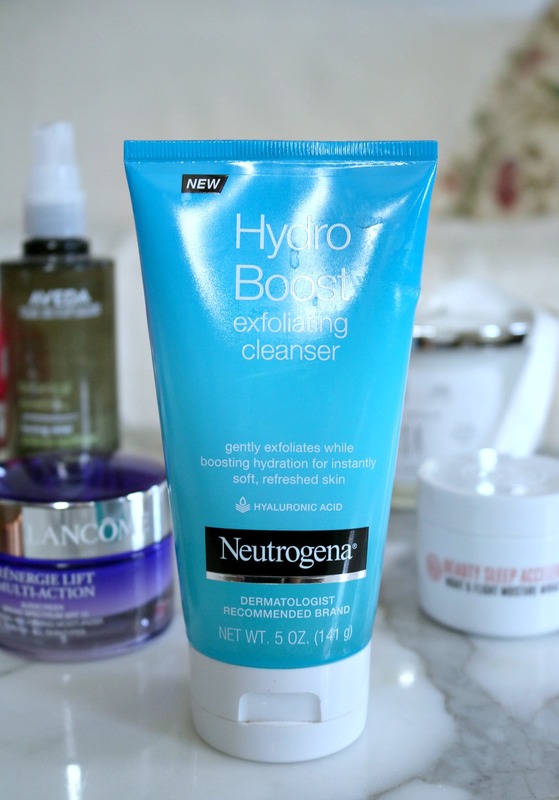 The Neutrogena Exfoliating facial cleanser is pretty much perfection. It’s a gel cleanser that’s threaded with microbeads to exfoliate your skin – but they’re gentle enough that you can even use this atop your Clarisonic. That’s what I do just about every night to completely wash the dirt, grime and stress of the day away. One really great thing about Neutrogena in general is how readily available their products are. You can easily swing by a drugstore, grocery store, Target or even Meijer to pick this up when you’re running low. Good thing, too, because I pretty much can’t live without it. As I get older, the more I try to invest time (and $) into my skincare routine. It’s all part of my quest to hold off aging for as long as I can…as well as nurture myself. As stressful as life can get, it’s nice at the end of the day to cleanse my face and sit down to apply products I know are nourishing my complexion. 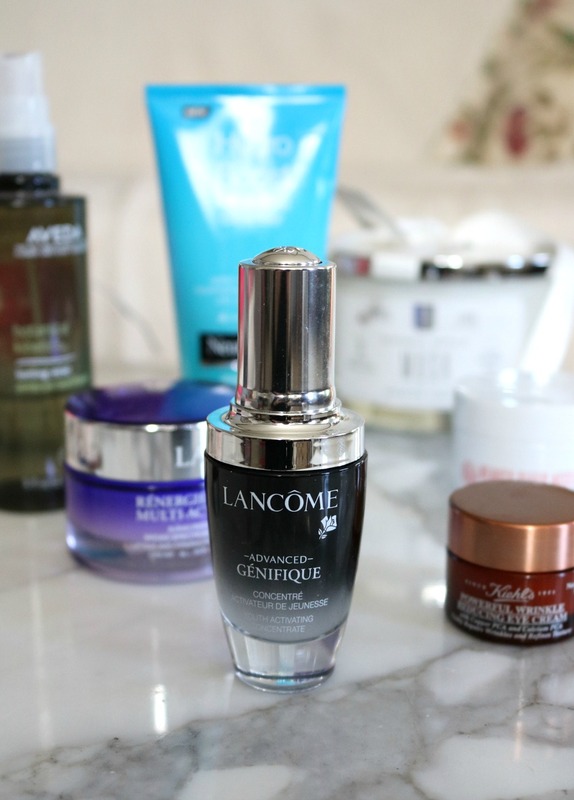 Among those is Lancome’s Advanced Genifique – an anti-aging serum that seeps into my skin flawlessly. As a “Youth Activating Concentrate”, Advanced Genifique works to improve your skin’s radiance, elasticity, firmness, skin tone and smoothness. I apply this immediately after cleansing and have really enjoyed seeing the benefits come to life. I’ve bounced to and from various serums over the years, but have been using this religiously for the last month and absolutely notice a difference. For one, my skin doesn’t look as tired. For two, I feel like somehow my pores have minimized…or at least my skin has become more smooth making them not nearly as noticeable. I do have some smile lines developing by my mouth — and I’m keeping my fingers crossed this continues to help them from progressing. Okay, okay. Another sneaky thing from Lancome! But what can I say? They make some of the best skincare products out there. Since summer came to an end, I’ve been getting back into using a daily moisturizer that’s cream-based. The summer months were too hot and humid for me to use anything but a gel product, but as the temperatures turn colder and there’s less moisture in the air — a cream moisturizer is what I need. 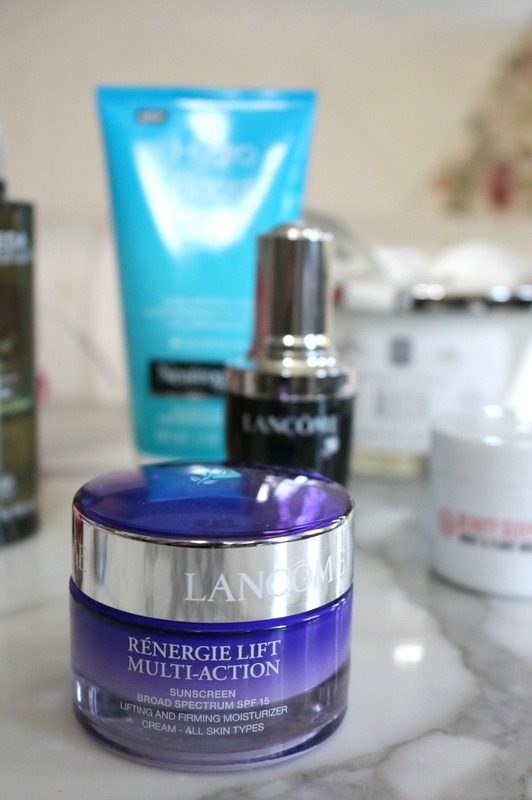 Enter Lancome’s Renergie Lift Multi-Action. They have a couple variations of this day cream, I’ve been using the “Lift & Firming” moisturizer because I want to “lift” and “firm” my skin as much as I can. At first I was worried the thickness and texture of the product would be too heavy for the daytime, but I’ve taken to applying this in the morning and enjoying my coffee for about five minutes while it settles. Sure, it takes a little extra time than with the gel cleanser I was using, but I’m committed to helping my skin as much as I can and believe this stuff works at maintaining a firm complexion. After a few minutes, my skin is left feeling incredibly soft and smooth – just in time for makeup! I live in fear of crow’s feet and one (insomniac) night I spent a good two hours reading the reviews of DOZENS of eye creams on Nordstrom.com. The one I kept coming back to was this gem from Kiehl’s and for the last four months or so I’ve been loving it! At $43, some may say it’s pricey but I find that a little truly does go a long way. I’ve taken to applying this eye cream at night time and love the way you can actually “feel” it working. It’s not painful by any means, but there’s definitely a tingling sensation. Before using Kieh’s eye cream, I had noticed a wrinkle developing by my left eye. When I look in the mirror now, it’s virtually disappeared – and I swear I was not hallucinating it. While I do find this to be one of the best skincare products out there, I have to caution those with sensitive skin. The “tingling” sensation I love pops up as more of a “burning” sensation in some of the reviews I’ve seen from people with sensitive skin. If you’re worried about irritation, I recommend visiting a Kiehl’s counter (Sephora, Nordstrom, etc.) to pick a sample of this up before committing to the full-sized product. I don’t know what came over me when I plopped this random Soap & Glory moisturizer in my cart at Target one day, but boy am I glad I did because I’ve fallen in love with it. 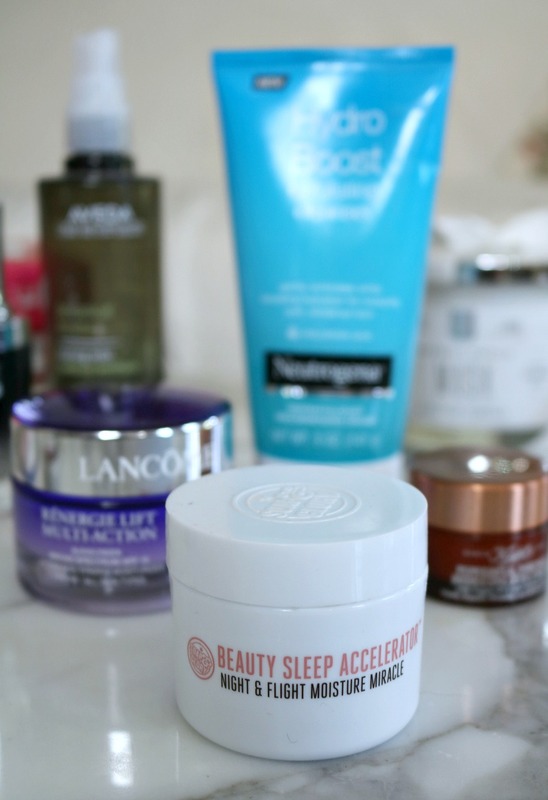 The Beauty Sleep Accelerator is one HEAVY DUTY moisturizer. 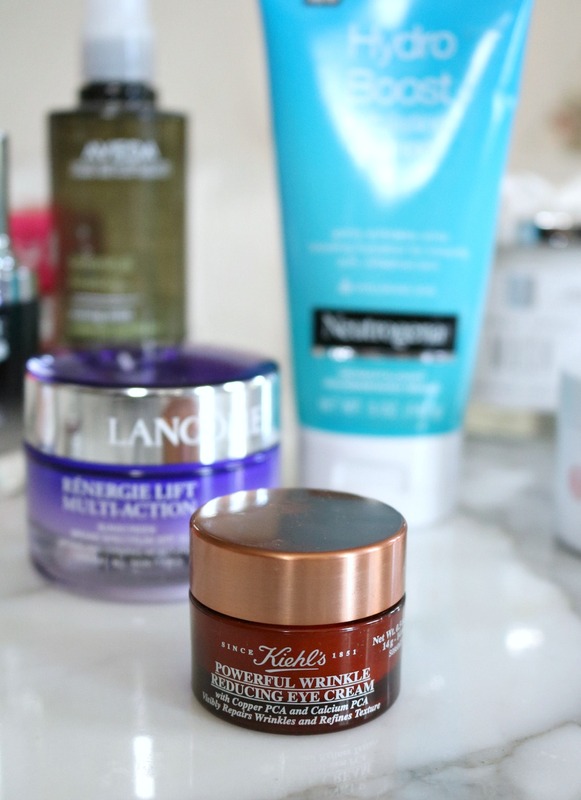 So much so, that I think it just might be the most moisturizing face product I’ve used…ever. Lofty statement, I know. But also true. If your skin is struggling in the winter time or you’re recouping from a long flight and need extra help in the moisture department — this is what you need. In fact, it’s so moisturizing I haven’t reached for my beloved Origin’s Overnight Mask once since picking this up. As the winter months come racing in, I think I’ll be turning to use this for my hands as well. They take a beating during the cold months because of the weather (duh!) and all the extra hand washing/sanitizing I do to keep from getting sick. I’m pretty confident Soap & Glory’s Beauty Sleep Accelerator can ease even the most chapped of hands. Highly recommend! 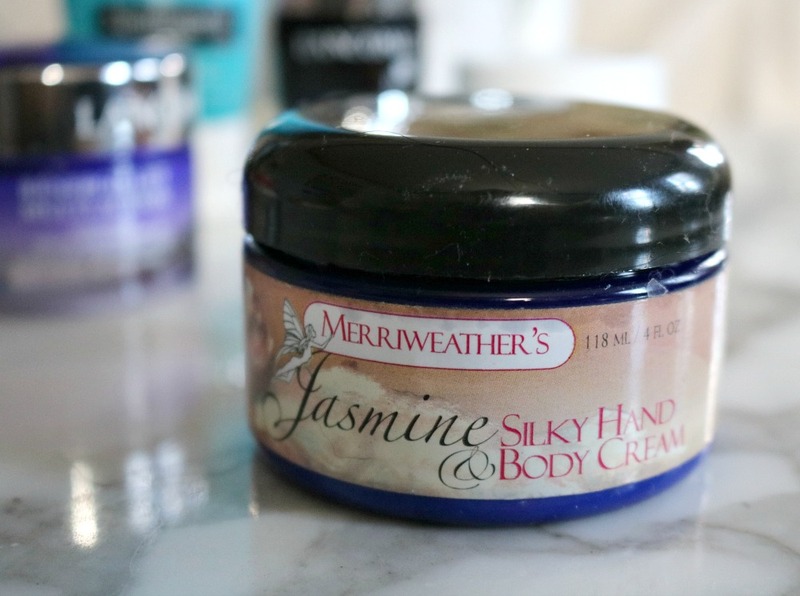 Okay, I know I said above that I was going to start using Soap & Glory’s heavy duty Beauty Accelerator on my hands come wintertime…but for now, I haven’t needed to because I have Merriweather’s Silky Hand & Body Cream to turn to. 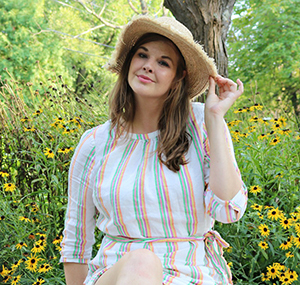 I found this brand by shopping the Rhinebeck Sheep & Wool festival in New York and fully intend to take advantage of their website to purchase more down the line. Merriweather’s makes all natural skin and body products at a reasonable price. At the festival, I had a fun smelling all of the lovely scents available but it was the Jasmine scent that truly sucked me in. Have you ever enjoyed applying a product so much that you find yourself looking forward to it? That’s how I feel about this hand cream, making it one of the best skincare products I’ve found this year by far. The find the jasmine scent incredibly soothing and the soft, silky texture of the cream on my hands is perfect for winding down at the end of the day. I know you’re probably thinking a post on the best skincare products would stick to the face, but your cuticles absolutely count as skin too! This lil’ gem is another something I picked up on my October trip to Rhinebeck, New York and it’s fab-u-lous. I confess, I’m pretty bad at picking at my cuticles. It’s a nasty habit I’m desperately trying to break and to help me along in the process, this Cuticle Butter has been a life saver. Probably what I like must about this cuticle butter is how calming it is on my cuticles. At first I was worried there might be some stinging involved, but I’ve had no trouble with that at all. It’s also incredibly fast-acting. If I’ve had a particularly stressful day, I’ll notice that my cuticles have taken a beating and apply this at bedtime. Come morning, they’re visibly better…somewhere around 80% improvement. Pretty impressive for a $7 tin, right? 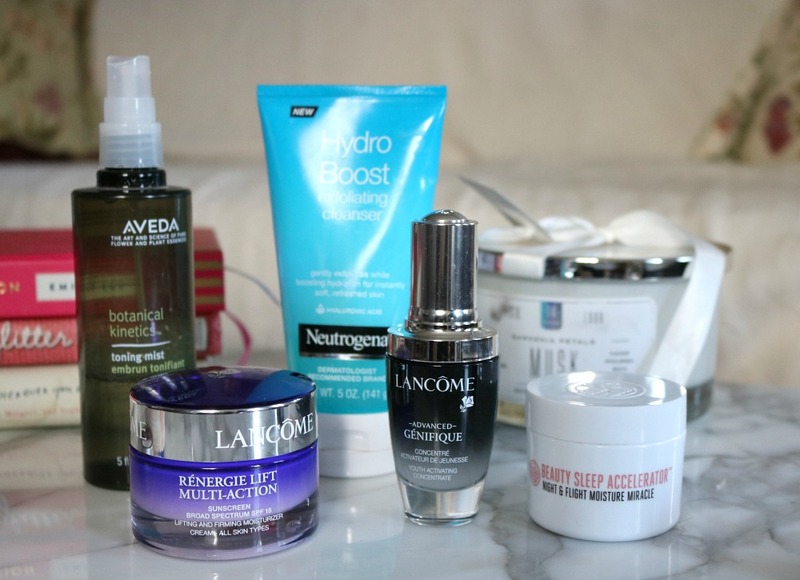 Well, I hope you enjoyed this rundown of the best skincare products I’m using these days. Obviously there are plenty of skincare items out there just waiting for me to discover them – but until I do, I’m having fun hanging out with these guys. If you like reading about skincare and discovering new products, do let me know in the comments below. As it is a topic I don’t discuss often here on Dream in Lace, I’m curious to know if you’d like to hear more about it. Personally I love reading what skincare products others are loving but if that’s not your cup of tea – I totally understand. Now that I’ve sufficiently rambled your ear off about skincare, though, I’m going to hop off and tuck into bed. Thank you so much for reaching and I’ll chat with you again soon!